A full spectrum of treatments and products to make you happier with the way you look. A wonderful product which subtly restores youthful volume. What is Sculptra? It is finely powdered poly- L- lactic acid which is reconstituted in sterile water prior to injection. How much Sculptra will I need? Dr. Baughman advises 1 vial per decade of life. A person in their 40’s benefits from 4 vials, and someone in their 60’s would do best with 6 vials. There is some variation depending upon a person’s facial structure. 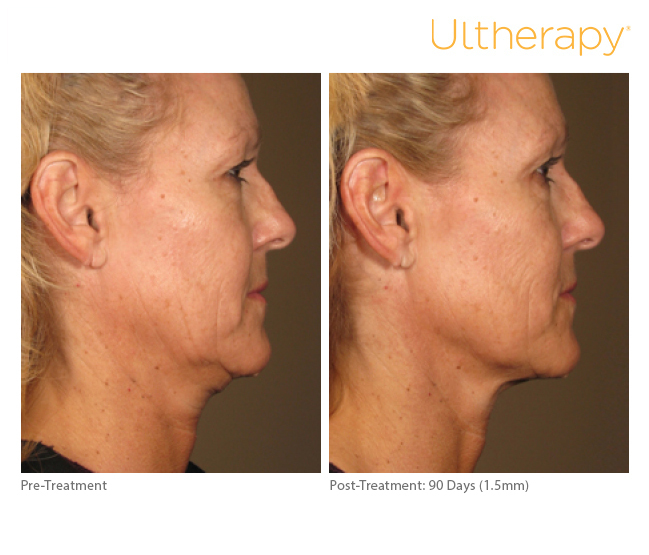 Typically you will receive three treatments spaced 4-6 weeks apart. How soon will I see results? Be patient. 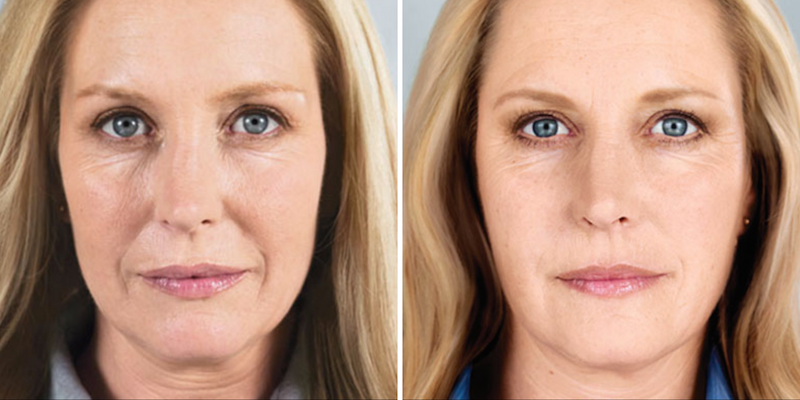 Because Sculptra stimulates collagen growth, you will see minimal difference after the first session, then more after the second and third. How long does Sculptra last? Improvement is seen at least 2 years after injection. Over time, with additional volume loss, you may want 1-2 vials every year or so to maintain the effect. What are the side effects? Similar to other fillers, side effects include bruising, infection, and swelling. Occasionally firm nodules develop months after injection. They can be treated with massage; rarely they need injected or removed at your physician’s office. You may be asked to massage the injection sites for several days after injection – this helps minimize the risk of nodule development. Photos are from www.sculptraaesthetic.com and have not been retouched. 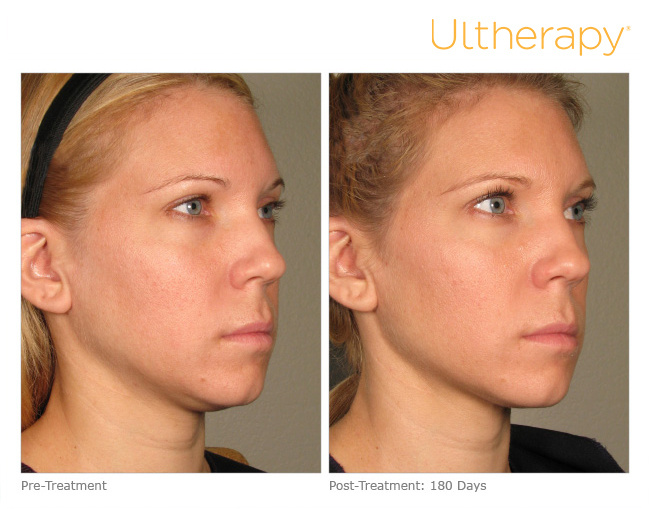 A good Ultherapy candidate has mild to moderate skin laxity where the skin begins to feel and look less firm. Examples include a lowered eyebrow line, loose skin on the neck, sagging under the chin, and lines or wrinkles on the chest. 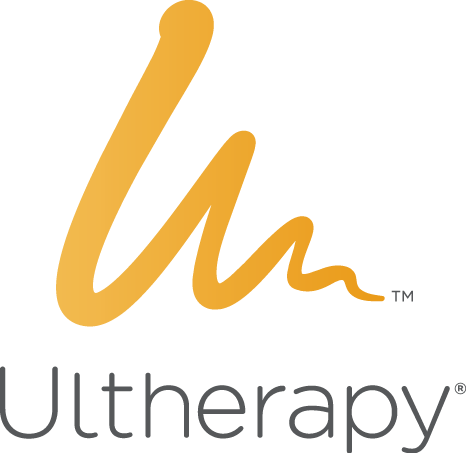 Of course, the best way to find out if you’re an Ultherapy candidate is to consult Dr. Baughman directly. Gentle broad spectrum light is used to treat the face, chest, neck and hands- where most sun damage is seen. IPL treatments require no downtime and have a low risk of side effects so are perfect for your active lifestyle. If you have an active tan or sunburn, wait one month to schedule, to avoid risk of burn. Post treatment maintenance is simple with Elta broad spectrum sunscreen daily, a hat, sun protective clothing, and Triluma- a prescription fading cream. 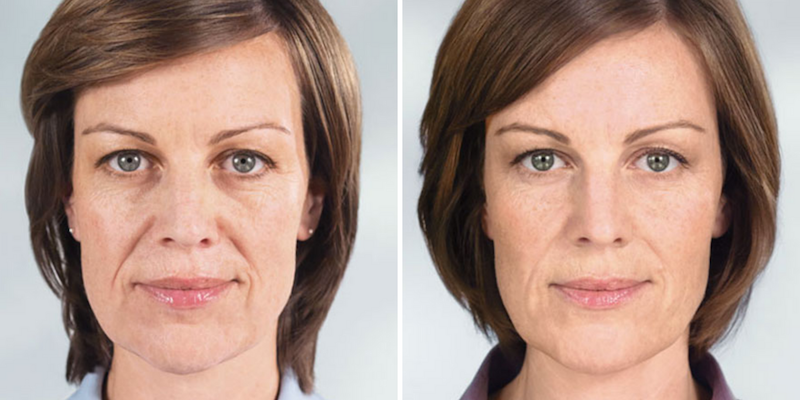 A single follow up treatment every 12 months will refresh your skin. Notify the office if you have a history of fever blisters.